Acer Chromebook 14 for Work is a follow-up to the metal-clad Chromebook 14 that was announced few weeks ago. However, this Chrome OS-powered laptop is targeted at business users and features a rugged design to make it fitting. The earlier Acer Chromebook 14 impressed many with its all-metal casing which was (and is) not common at its price point. This newer offering goes the rugged way with a casing featuring the recently-announced Vibrant Corning Gorilla Glass. This damage-resistant material can be imprinted with top quality business logos and designs. Acer says the Chromebook is designed in accordance with military standards and can survive drop from height of up 48 inches. The Acer Chromebook 14 for Work is fitted with a spill-resistant keyboard. The display, as you may have guessed, measures 14 inches diagonally. It has a standard resolution of 1366 x 768 pixels. There is optional Full HD screen as well. According to Acer, the Chromebook 14 for Work is the fastest Chrome OS-powered notebook on the market. Well, you may not be able to argue against that at first glance, seeing the laptop is equipped with sixth-generation Intel Core processor. It will be made available in different RAM configurations ranging from 2 GB to 8 GB. 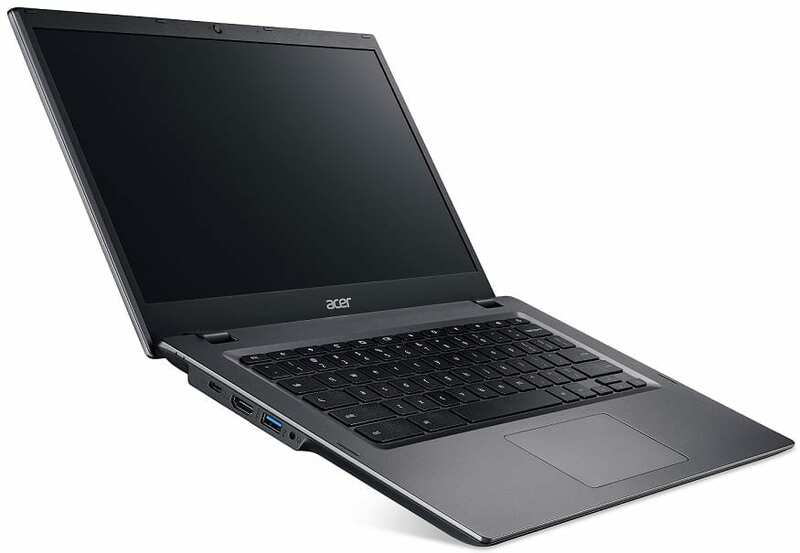 The Acer Chromebook 14 for Work will expectedly run on the lightweight Google Chrome operating system. Onboard storage has a capacity of either 16 GB or 32 GB – not exactly surprising for a Chromebook. The 768p model is rated capable of up to 12-hour battery life, while the 1080p HD model is claimed to offer runtime of up to 10 hours. Buyers will get a USB 3.0 Type-C port for speedy data transfer and powering external devices. 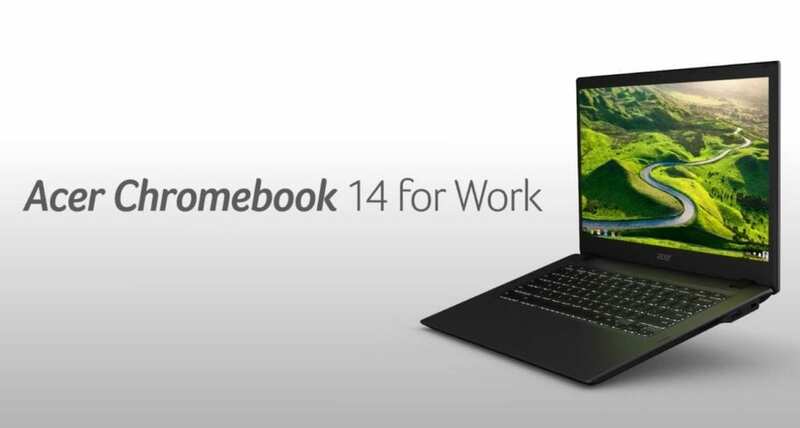 The Chromebook 14 for Work will also have an HDMI port as well as Bluetooth 4.2 and dual-band Wi-Fi 802.11ac. It is the first Chromebook from Acer to be compliant with Google’s Chrome for Work initiative targeted at business users. Acer Chromebook 14 for Work is not yet available in Nigeria. Acer Chromebook 14 for Work price in Nigeria is starts at around N73,000, depending on your location and the configuration of the laptop.